All patients of Basuto Medical Centre can order repeat prescriptions. This is a quick and easy way of obtaining your medication without the need to see a doctor. Please bear in mind however that this is only applicable for medication that one of our doctors has previously prescribed for you and agreed to put on repeat order. This service is free to our members. 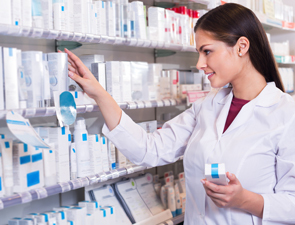 A small charge applies to repeat prescriptions provided to non-members. Getting your repeat prescription is very easy. Simply give us a call, send an fax or fill out the form to the right and your request will automatically be sent to us for review. Please note that all requests are individually reviewed by a doctor at Basuto Medical Centre. Based on clinical guidelines, you may be asked to attend an appointment before further repeat prescriptions can be issued. For example, this is often the case for women on the contraceptive pill because it’s important that we check your blood pressure on a regular basis. If you’re worried about any aspect or side effects of your medication, please see a doctor as soon as you can.